US Ignite is an initiative to promote US leadership in developing applications and services for ultra-fast broadband and software-defined networks. It will foster the creation of novel applications and digital experiences that will transform healthcare, education and job skills training, public safety, energy, and advanced manufacturing. By serving as a coordinator and incubator of this ecosystem, US Ignite will accelerate the adoption of next-generation networks. HBC, in partnership with Red Wing Ignite, has teamed up to help realize the powerful benefits from virtualized ultra-fast broadband networks with the goal of igniting the development of next-generation Internet applications and services for southeastern Minnesota businesses and families. HBC is a proud sponsor of The Frozen River Film Festival. The Frozen River Film Festival offers programs that engage, educate and activate viewers to become involved in the world. These programs provide a unique perspective on environmental issues, sustainable communities, adventure travel and sports, and diverse cultures while showcasing the art of documentary film. Our films often explore issues, concerns, and life’s successes that are usually not covered in the local media. HBC is a proud sponsor of Great River Shakespeare Festival. Great River Shakespeare Festival (GRSF) is a nonprofit, professional Equity theater company in Winona, MN, dedicated to dynamic, clearly spoken productions of Shakespeare’s plays which enrich people’s lives, extensive community education, and community outreach programs, and comprehensive theater training. HBC sponsors a number of educational and scholarship programs throughout the communities served. Internship opportunities are available in a number of departments throughout the HBC organization. It is just one of the ways we grow our community connection. We understand how important it is for you and your family to have access to today’s news, information, entertainment, and resources. That’s why HBC offers the Internet Assistance Program, where persons meeting eligibility can get the high-speed Internet they need at a reduced price! HBC is a proud sponsor of The Garage Cowork. The Garage Cowork is an innovative office space, meeting, and event venue. We are a coworking space that offers shared professional workspace for independent workers, including telecommuters, startups, entrepreneurs, freelancers, and more. We have various levels of member passes depending on member needs, including 24/7 access for most members. 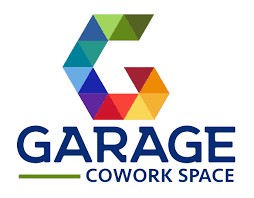 Opportunities to learn and network while you are a member at Garage Cowork.